Welcome to The Chief, where delicious ice cream is made on site, everyday, with twenty premium flavors available! 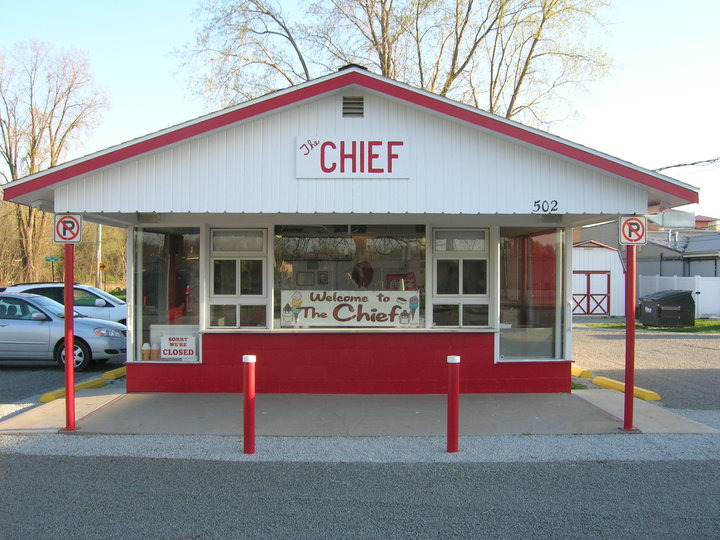 The Chief is a Goshen icon, open daily during spring and summer months, and it has become a tradition for families, neighbors, teams and tourists to treat themselves to the ice cream that made Thrillist's 31 shops in the nation! Standing in line, visiting with friends, or gathering on the grassy lawn has made The Chief a popular place to enjoy homemade ice cream. Come visit our little shop on Lincoln Avenue to treat yourself to the best ice cream around! When closed for the season, pints of Ice Cream sold with Christmas Trees, Corner of Chicago and Lincoln Ave.